Star EV started from JH Global Services, Inc. – a global outsourcing and distribution company whose mission was to seek opportunities and import and distribute products and/or services that were currently in demand in the marketplace. JH Global services identified an opportunity in the golf car and electric vehicle segment back then, and Star EV was thus established. 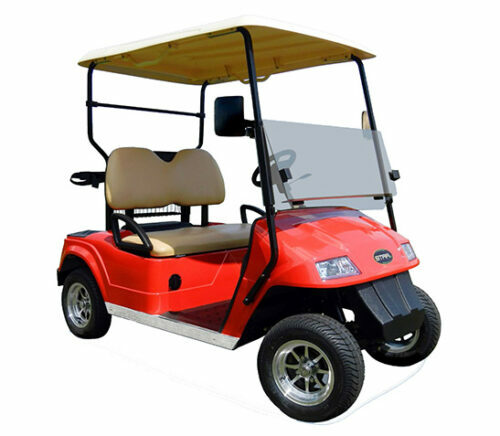 Star EV currently offers more than 50 golf car and low speed vehicle models and products that targeted towards the green movement and aging Baby Boomer generation, and are in high demand in various industries. 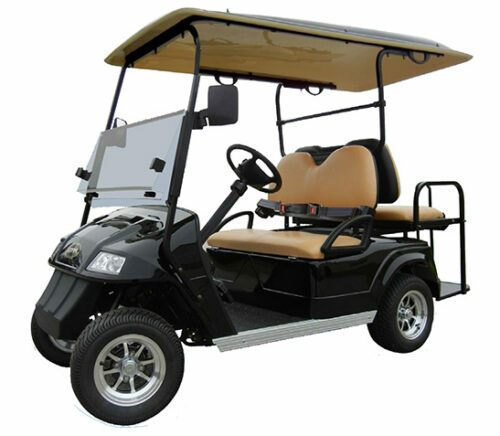 Feel free to browse our wide range of Star EV campground golf cars today. Drop a note in our site for any inquiries or concerns and we will be more than happy to assist you. 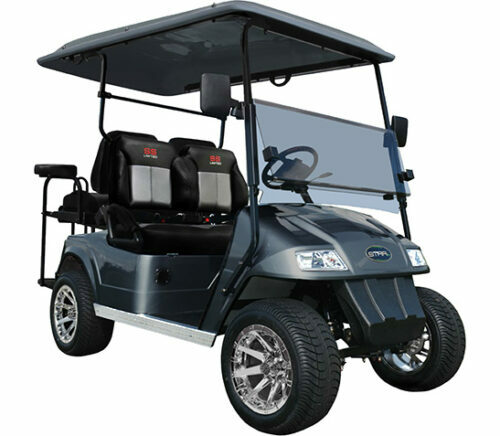 The Magellan: Star EV’s Magellan series is a powerful golf car with a 6 or 7 HP AC motor, eight 6V (48V) batteries, Curtis controller, independent front suspension, and advanced braking systems. The Magellan runs at a maximum of 19.5 miles per hour with 20-25 miles per hour low speed vehicle (LSV) option. It comes in two models: the Magellan 2+2-AC that seats four passengers with an 800lbs load capacity, and the Magellan 4+2-AC that seats six passengers with a rear flip seat and 1,000lbs load capacity. The Sport: The Sport is a powerful campground cart with advanced DC engines, eight 6V (48V) batteries. The models under this series have generous ground clearance and sturdy chassis, which make the vehicles perfect for all kinds of terrains. All models also feature LED taillights, turn signal mirrors, advanced speedometer, odometer, and battery indicator. 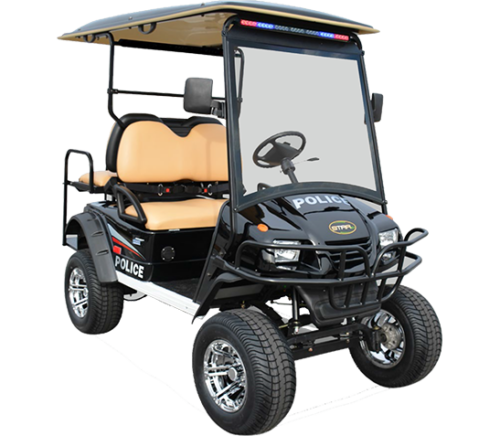 It comes in three models: The Sport 2+2 that seats four passengers with a 600lbs load capacity, the Sport 4+2 that seats six passengers with a 900lbs load capacity, and the Sport 48-2-Police that seats two passengers with a 600lbs load capacity. The Classic 48: Star EV’s Classic 48 series is a stylish campground golf cart that comes with dual-toned interiors, polished metal exteriors, a powerful engine and a number of upgrade options. 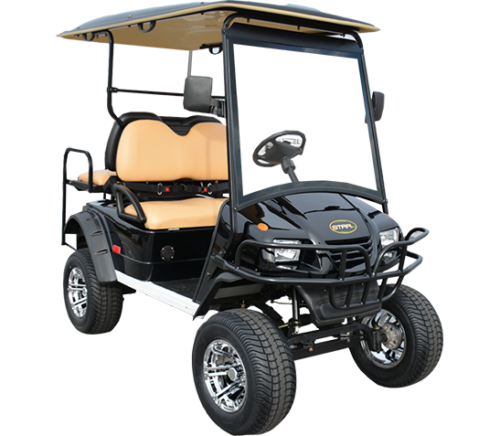 All models under this series has a powerful 5.5HP advance DC motor and eight 6V batteries under its hood, plus 400 A Curtis programmable controller with regenerative braking, Curtis battery indicator, and retractable seat belts. It comes in four models: the Classic 48 2+2 SS Limited that seats four passengers with a 660lbs load capacity, the Classic 48 4+2 that seats six passengers with a 1,000lbs load capacity, the Classic 48 2+2 that seats four passengers with a 660lbs load capacity, and the Classic 48 4+2 SS Limited that seats six passengers with a 1,000lbs load capacity. The Classic 36: The Classic series is just that, a classic golf car that is also powerful and modern in its performance and style. This series features a 4HP advanced motor, six 6V (36V) batteries, 300A Curtis programmable controller with regenerative braking, and rack and pinion steering system – making all four Classic 36 models perfect for campground use. Other features include easy access program or trouble-shooting port under the dash and automatic battery charger. Star EV’s Classic 36 comes in four models: The Classic 36-2+2 that seats four passengers with rear flip seat with 660lbs load capacity, the Classic 36-2 that seats two passengers with a 600lbs load capacity, the Classic 36-2 SS Limited that seats two or four passengers with its 2-in-1 combo seat option with a 600lbs load capacity, and Classic 36-2+2 SS Limited that seats four passengers with a 660lbs load capacity. The BN 72: If you are looking for a campground golf car with a lot of seating capacity, then Star EV’s BN 72 series is the right option for you. 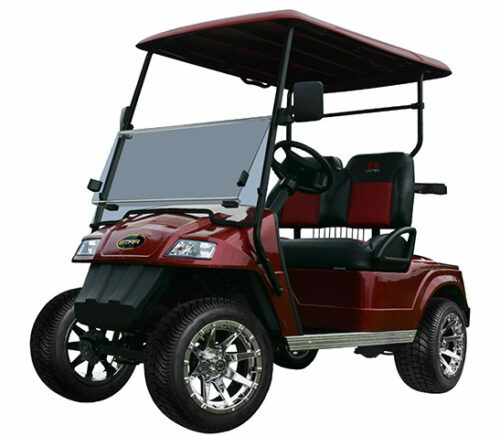 The seven BN 72 models come with a beastly 9.5, 10 or 12HP AC motor, power steering, and twelve 6V (72V) batteries. The models are: the BN 72-08-AC-Autodrive-M that seats eight passengers with a 1,400lbs load capacity, the BN 72-11-AC-Autodrive-M that seats 11 passengers with a 2,640lbs load capacity, the BN 72-14-AC-Autodrive-M that seats 11 or 14 passengers with a 2,640lbs load capacity, the BN 72-23-AC-ADS-M that seats 23 passengers with a 3,850lbs load capacity, the BN 72-11-AC-H with wheelchair access that seats 11 passengers (plus wheelchair) with a 2,640lbs load capacity, and the BN 72-11-AC-D-M wheelchair accessible that seats 11 passengers (plus wheelchair) with a 1,900lbs load capacity, and the BN 72-14-AC-D-M that seats 14 passengers with a 2,200lbs load capacity. The Classic HD and Classic 48-6: Another two options from Star EV are the Classic HD and Classic 48-6. The Classic HD is Star EV’s flagship series with its stylish and efficient built, and powerful 5.5HP advanced DC motor and eight 6V (48V) batteries. On the other hand, the Classic 48-6 offers wheelchair access and packs a mighty 5.5 HP ADC motor and eight 6V (48V) batteries under its hood.